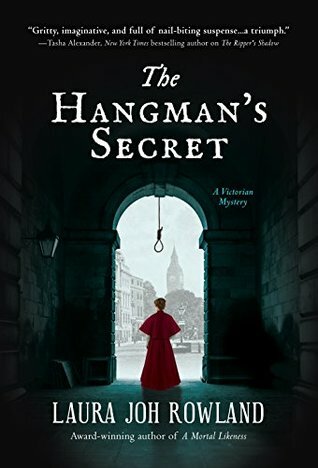 Being the third book in the series of adventures of photographer Sarah Bain and her friends, The Hangman’s Secret was very easy to catch up with. It was easy to catch up with the story so far and the story got my attention. I’d love to read all of the books in order now. A very unusual bunch of characters: gay disowned lord, street urchin and an unmarried young woman with a very murky past. But I guess it takes a team of people with nothing to lose and nothing to constrain them to get to the bottom of the matter. And the matter is very grisly and wrapped in may layers of time, lies, secrets and evil deeds. The main London Hangman ends up dead just the way he worked – by hanging. As it turns out, it is a murder. And every murder needs a motive. And every murder needs… to be solved. Who solves it first: police or the team of colourful misfits who work for rigid, tough and cruel business magnate? Will the murderer end up in jail or on the pages of metro newspaper? I enjoyed this book. I loved the atmosphere, the colours, the language. The story is populated by characeters that are easy to like or to hate. I got cold and scared or hot and embarrassed, furious and bashful together with characters. I’d love to see how their adventures unfold. Will there be a happy ending all around? I doubt it very much. The times the characters live in, the society, the choices they make – happiness would be very short-lived. But their cases… that’s another story.